Taking inspiration from Sir Henry ‘Tiger’ Tim Birkin – the legendary Bentley Boy who travelled and raced extensively around Europe in the 1920s and 1930s – this new model features numerous unique styling details and represents the pinnacle of British luxury motoring in its most discerning form. The Limited Edition of just 22 cars is available in three colour specifications: a fresh and contemporary Ghost White, Damson for a more vibrant touch, and a sophisticated contrast of Fountain Blue and Dark Sapphire, offering a modern interpretation of the classic two-tone Bentley paint design. 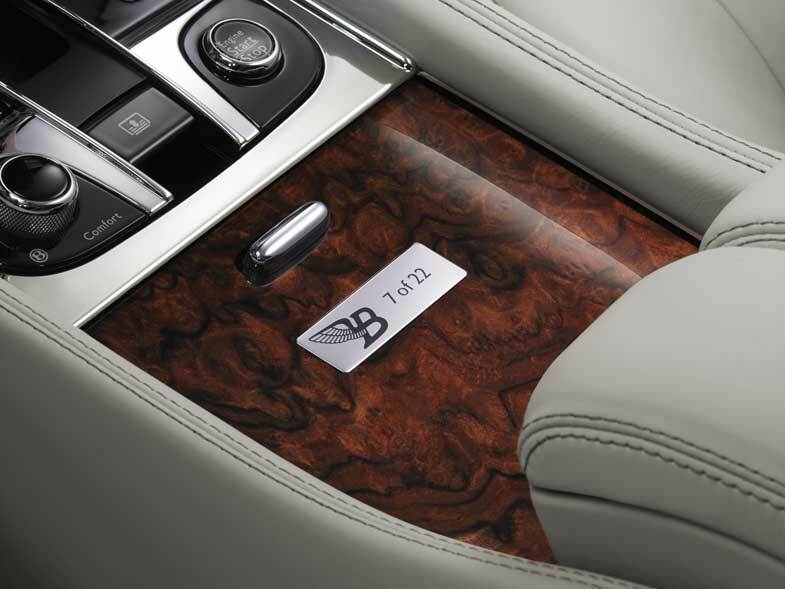 Numbered door sill plaques, a unique 21″ wheel design inspired by those on the original Mulsanne concept car, and a striking 3D ‘Flying B’ logo stitched into the vehicle headrests and inlaid into the wood of the front fascia and rear picnic tables, identify the Birkin models. In addition, all three specifications feature a stunning tailored luggage set – each one hand-crafted, individually numbered and matched with the interior of each car. 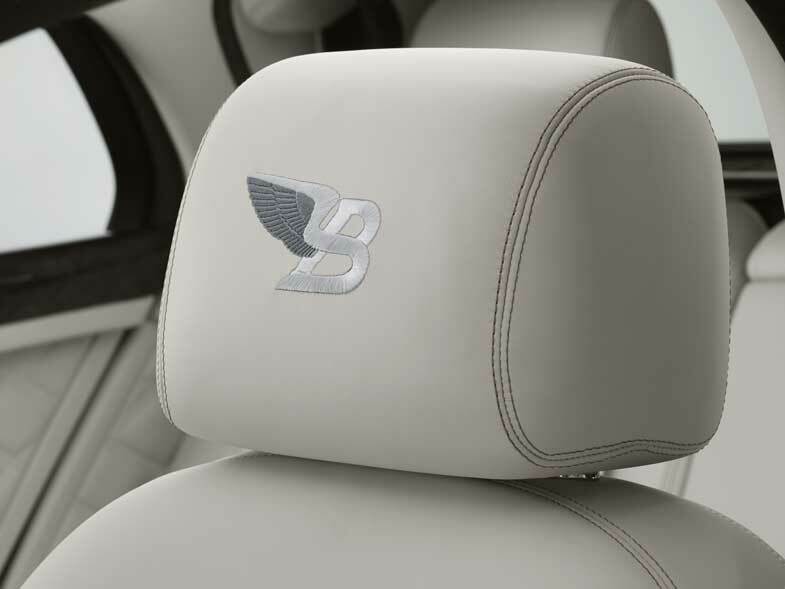 Items have been selected for the Birkin Limited Edition from the Mulsanne’s extensive options list for the well-travelled connoisseur and the Mulliner Driving Specification delivers an engaging motoring experience thanks to a unique ‘Sport’ setting on the Drive Dynamics Control system. An intricate diamond quilting pattern to the seats and door panels, complemented by an indented leather headlining and ‘knurling’ details to the interior metalwork, create a contemporary and tactile finish to the cabin. 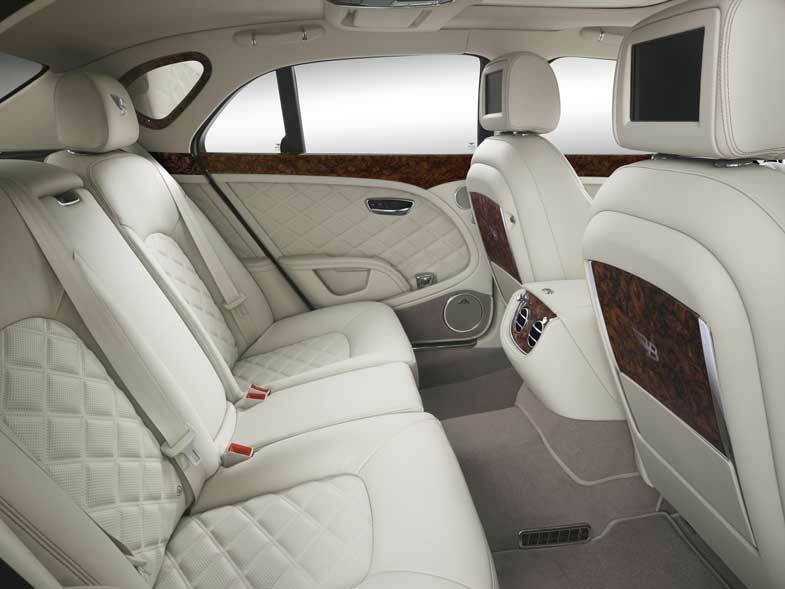 For those travelling in the rear of the Birkin Mulsanne’s spacious cabin, the Entertainment Specification offers a luxurious and comfortable space to work or relax while on the move. 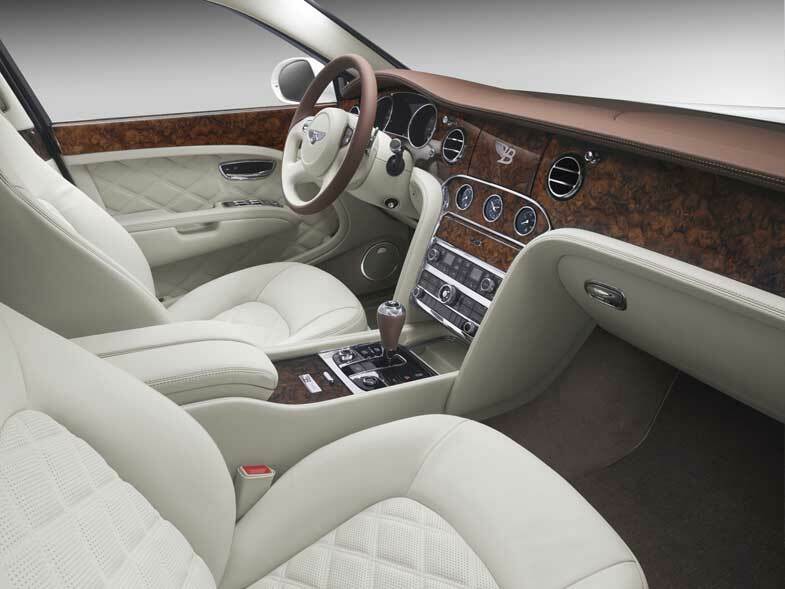 Each car features exquisitely-packaged twin 8″ LCD screens in the rear of the seat headrests, a DVD player, a Wi-Fi hotspot, the Naim for Bentley premium audio system and iPads integrated into the hand-crafted solid wood picnic tables. The muse for this Limited Edition Mulsanne, Sir Henry Ralph Stanley ‘Tim’ Birkin, was celebrated as both racing legend and unassuming style icon in his time, epitomising the idea of the British gentleman racer. 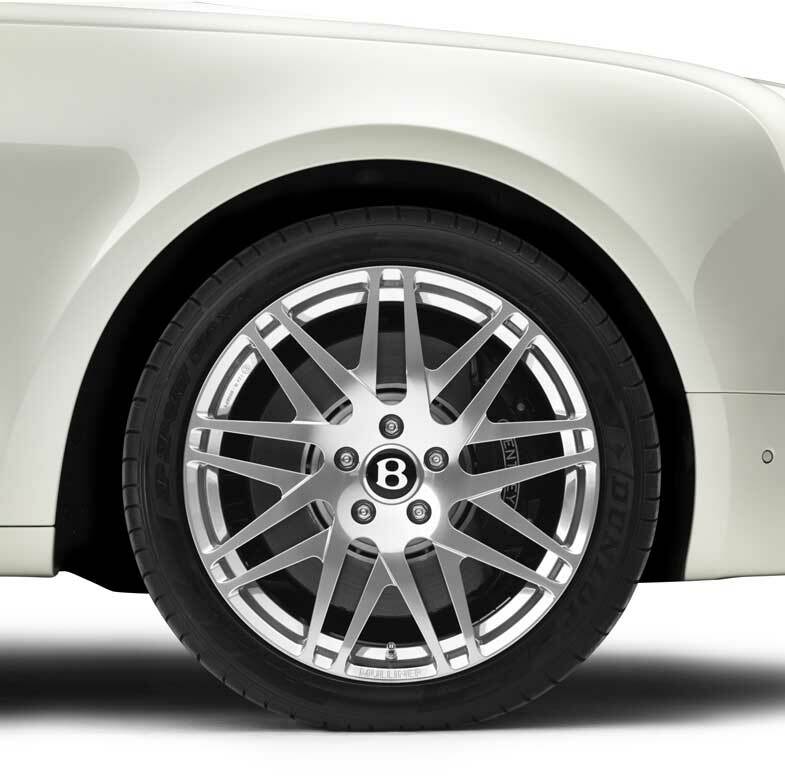 The Birkin Mulsanne specifications are born from the idea of how Birkin would commission a Bentley today. With its effortless performance and luxurious hand-crafted cabin, the Bentley Mulsanne embodies the essence of Birkin’s beliefs as motoring connoisseur. 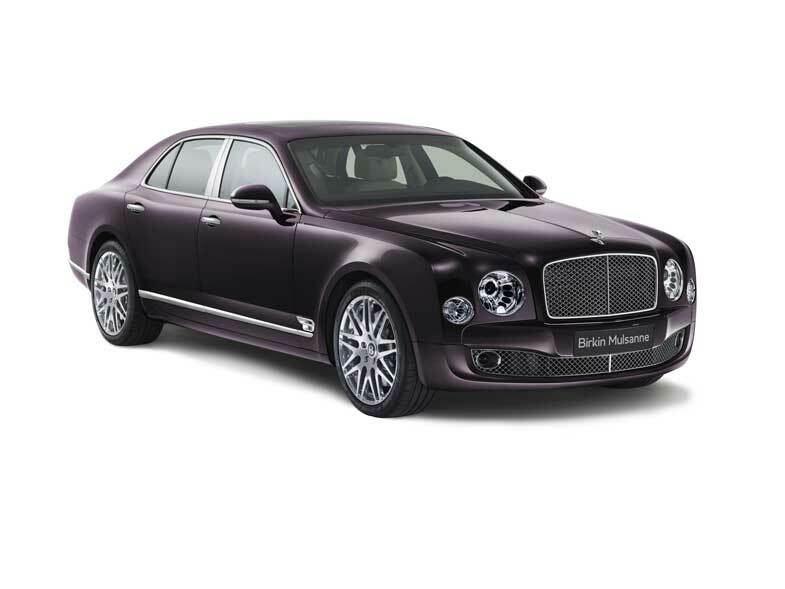 Now, with its unique styling details and exquisite specification, the Limited Edition Birkin Mulsanne is an automotive homage to one of Bentley’s most influential visionaries. Birkin’s first Bentley was bought simply out of a love of fine motoring, but over time he became increasingly involved with Bentley’s efforts on the road and race track, culminating with his key role in the development of the ‘Blower’ Bentley in 1928. Birkin saw that to retain its competitive racing edge, the company needed to increase the power of the 130 bhp Bentley 4 ½ litre, and so pushed to fit the car with a supercharger, which increased power to an impressive 242 bhp. Birkin convinced company owner Woolf Barnato and financial-backer Dorothy Paget to support a production run of 50 cars in order to qualify for Le Mans. It was for this car – and his fearless style of driving it – that Birkin is perhaps best known.